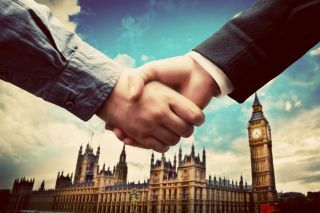 A business friendly budget could help ease tensions surrounding Brexit. In his Autumn Budget today, Chancellor Hammond said that he wants to increase the rate at which new businesses are launching in the UK to one every half an hour. He also wants to ease the pressures facing small business owners, giving them the resilience to thrive. It’s not surprising then that this was probably one of the most business-friendly budgets we have seen for some time. However, there were other ‘innovation’ related Budget giveaways that will benefit small businesses. These include a further £2.3bn announced for investment in R&D and a fund of over £500m to invest in a range of initiatives from Artificial Intelligence, to 5G and full fibre broadband. In addition, there is to be a new Regulators' Pioneer Fund, as well as a new Geospatial Data Commission to develop a strategy for using the government's location data, to support economic growth. Air quality in many of the UK’s cities is very poor and a £220m ‘clean air’ fund was announced. There will also be a range of initiatives to promote investment in electric cars, with £400m pledged for a new charging infrastructure and £40m invested into improving charging technology. The current law will be clarified so that people who charge their electric vehicles at work will not face a benefit-in-kind charge from next year. Diesel car drivers will start to face higher taxes from April 2018. The first year VED rate for diesel cars that do not meet the latest standards will go up by one band. In addition, the existing diesel supplement in company car tax will rise by one per cent. Anyone listening to today’s Budget speech will recall that this was the measure that provoked the biggest reaction in the Commons. Another of the pre-budget rumours, this one did materialise. Stamp duty for first time buyers is being abolished on all property purchased up to the value of £300,000. In the case of London buyers, it will also be available on the first £300,000 of the purchase price of properties costing up to £500,000. In real terms, this means an effective price cut of £5,000. Overall, 95 per cent of all first-time buyers will benefit, with 80 per cent not paying any stamp duty at all. From April 2018, the personal allowance will be increased to £11,850 and the higher rate threshold to £46,350. In addition, the National Living Wage will be rising in April by 4.4 per cent to £7.83.